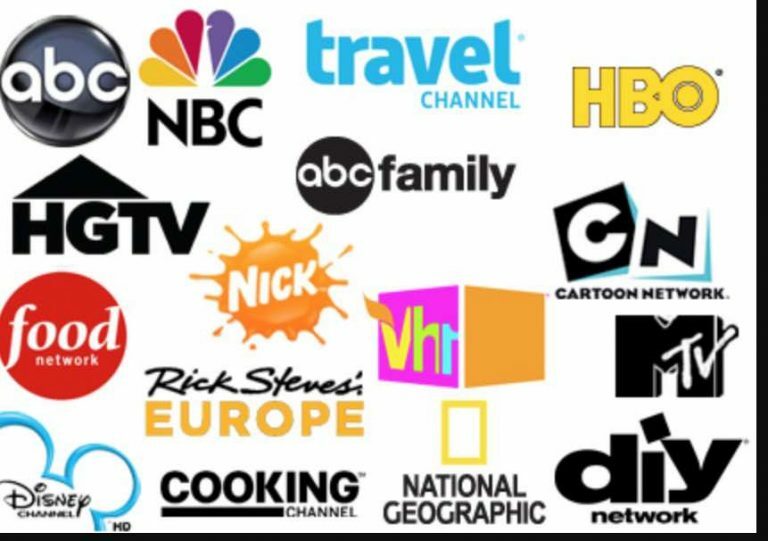 You will agree with me that watching TV programs via a DirecTV using a Satellite Dish/antenna is not the most convenient way of enjoying favourite tv programs. Gladly, there are various 13 Cheap Alternatives to Satellite TV some of which I will be sharing with you today. Although most of these services are meant to be enjoyed by users in the USA. However, with the help of a good VPN such as VyprVPN, express Vpn and the likes, this can easily be used globally. There are at least 13 alternative service packages to satellite tv as you will find out and all of them are 100% legal. There would be no mention of any illegal service here. I am listing them in no particular order below after which I would explaining them on after the other. Also, the ability to watch recent episodes of television shows whenever and wherever is the main advantage of having Hulu+. However, Hulu+ does not have CBS shows like NCIS and Big Bang Theory. A word of caution, if you’re looking for a specific show, double check that they have it before subscribing. There are commercials and advertising. You can interact with the commercials so they focus more on your interests, so at the very least they are semi-interesting. And, if you are lucky, you can watch one long commercial at the beginning to have an interruption-free viewing. You can sign up for Hulu here. You get two weeks free! Even our local satellite Tv giant(DStv) is scared of Netflix. The second of the 13 Cheap Alternatives to Satellite TV is Netflix. Netflix offers the most value for your money in my user’s opinions. Unfortunately, this can’t be used everywhere by default. Not to worry, a good VPN gat you covered. You can have DVDs sent to your home, one at a time, for $7.99 more a month. You can pay more for more discs. This list will surely not be complete if we don’t include prime Video. Amazon has a growing selection of movies and television shows as well. It has less overall than Netflix, but it probably has more movies than Hulu+. It is cheaper per month, however, not all content is free — you may have to pay additional fees for certain shows or movies. They have children’s programming as well. If you are worried about missing sports – fuboTV is a great option. FuboTV has tons of sports channels, and it’s only $10 a month. Right now, most of the sports available are soccer (Surprisingly, they also have MLS). Interestingly, they are working to add even more soon. Your first 24 hours are free when you signup here! plans start at $29 (55+ channels), then you can get 70+ channels for $34.99, and then 100 channels for $44.99. You can use it with your regular streaming devices, it includes on-demand, DVR, etc. We are thinking about signing up for this soon! VidAngel is VERY cool, and it has completely replaced RedBox . It has just about every movie you can think of, and a select number of TV shows – available for just $1 to watch. You can filter out content that you don’t want to see, or you can opt to watch without filters. Basically, the first time you signup on VidAngel’s website, you pay $20. This goes toward buying the first movie you watch. Then, after you watch the movie, you can opt to sell the movie back and get $19 in credit back. From that point on, you only have to pay $1 per movie (unless you decide to keep one, then you’ll pay $20!). It is a kind of online movie borrowing service. Without cable or satellite, you might lose a lot of sports programming. It seems like all of the major leagues have some kind of payment option for access to all of their games online. However, if you use an affiliated Internet provider, then you can watch a lot of games online either live or as a replay. Fortunately, the NCAA tournament is free online. MLSLive, is $60 a season and $15 dollars a month, which might be handy for the playoffs. They are having a free preview of the service today, 5/11/2013, and tomorrow. Have an Internet provider that is affiliated with ESPN3 — Comcast. SlingTV is basically internet television. You can buy television packages of different numbers of channels. You stream the channels live. They have some On Demand type content as well. The basic package of 25+ varied channels, including ESPN, is only $20 a month. 40+ channels costs $25 a month. All of their channels costs $40 a month. You can get Play Roku stick for 30 days for free. It acts as a browser for searching different broadcasting companies and as a media server for through which other devices can stream shows. Some game consoles and other devices have limited streaming apps you can download. PlayOn makes it so everything is in one place and you just need the main program on your computer and not your other devices. They advertise a PlayLater feature that works as DVR for online videos that might expire. When it comes to pure video streaming hardware, there probably isn’t much better than the Roku3. RokuHD is still fun. I read a lot of the reviews about the Roku3 and either they paid a lot of people to give them favorable reviews or people really do love it. They seem to rate it above AppleTV and way above Samsung Blu-ray players. You can watch your league subscriptions I believe. One channel, Plex, allows you to watch home videos and pictures on your television. I believe there are four main devices. The Roku Streaming Stick is the size of a USB drive that works with certain TVs and devices to provide the Roku experience. The remote connects to the small Roku box through Wifi, I believe, so that you can listen to the sound through a headphone jack in the remote, play games with the remote as your controller (it has motion control kind of like a Wii remote), and traditional pause-and-play functions that you can use without pointing at the box. Chromecast is Google’s new video and music streaming device. It is the size of a USB flash drive, and it costs only $35. On a Chromecast, you can get the apps most people use: Netflix, Hulu Plus, Pandora, and Google’s Google Play movies and music. It is powered by the Chrome OS, and it supports HDMI streaming. Your phone, tablet, or computer can work as a remote. It is powered by most HDMI ports that it can be plugged into. There is an optional USB cable to power the device. You might already have this in your house, but if you’removing out on your own or have a vacation house and you want to be able to watch some tv without a huge investment this device would be great. #1 in electronics sales on Amazon. @Vincent: of course yes!. A HDMI cable would take care of that for you sir. In the introduction, you talk about satellite TV, but you end up only displaying cable TV. In Uganda, we haven’t reached a level where one can watch TV on the internet because the internet is damn expensive. So satellite TV is the only option available. So, of the alternatives mentioned above, which one can I access via satellite? Oh! Am sorry I lost it first time bro. But thanks for the update.